1. Locate the property you wish to edit. For information on searching for a property, click here. 3. You will note a number of sub tabs at right. 4. Click the tab that contains the information you wish to change. Note: You cannot change information from the Summary tab. 6. Make any desired changes and click the green Update button. If you do not click update after editing each section, your new information will be lost. IF YOUR PROPERTY IS IN AN ARCHIVAL STATUS, THE ONLY EDITABLE SUB TAB IS FINANCIALS! There is some important information you need to know when editing certain tabs. Read on for more information. If you are changing the street address, you will need to validate the address again by clicking the green Validate button to the right. The map on the screen above will change to reflect the new address. 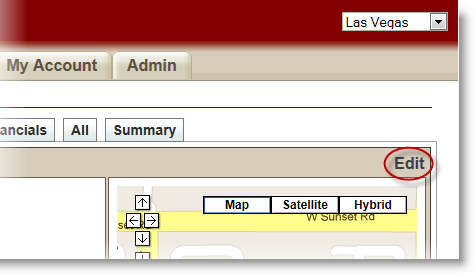 The Map It button allows you to change the Map back to the current address, provided you have not clicked the Update button at the bottom of the section. 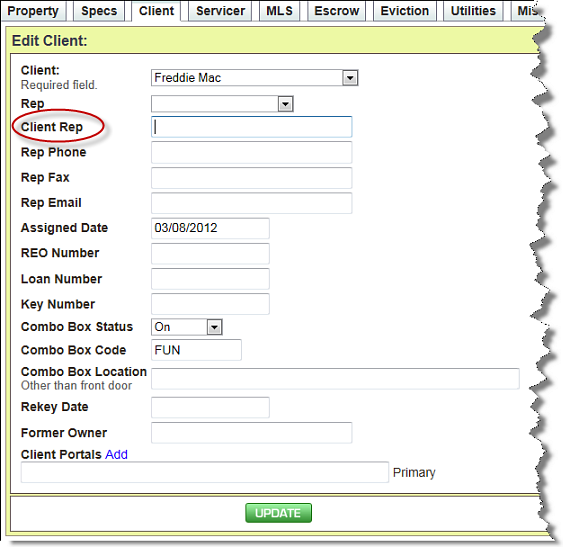 The Client Rep field that is circled above will only be populated if you have representatives assigned to the property client (See Clients). If you select an individual from the Rep drop down box, that rep’s information will be auto-populated in this section. If you have set up a default rep for this client, the rep information will have been populated automatically when you added this property. The Client Rep information in this section will only be visible to users who are in a group with Property Client Power User privileges For more information, see Groups. 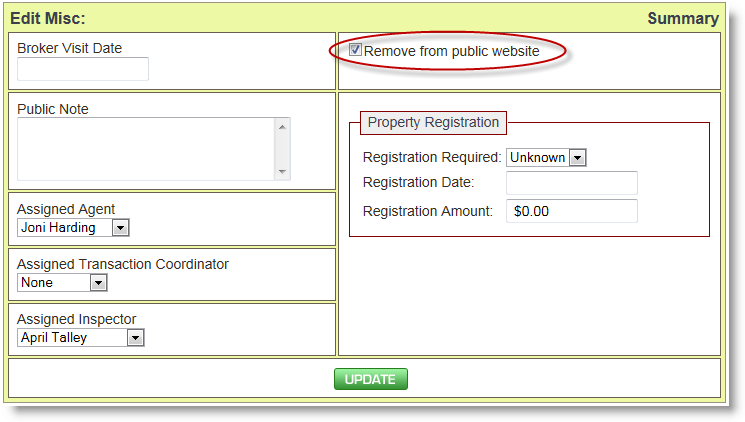 If you want to remove this property from view on your public website, check the Remove from public website box, shown circled above. The Field Inspector is assigned to the property based on the zip code. If the property is in a zip code with no assigned field inspector, this field will read Not Assigned. For information on how to add an inspector, see Users. Eviction Tab – Eviction information can be updated from either the property’s Main page or from the Evictions sub tab at left. 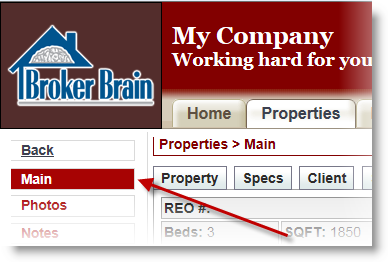 Escrow – This section can be updated from either the property’s Main page or from the Offers sub tab at left. Financials – This section is only visible to those users who are in a group with Property Financials privileges.